I’m writing a series on the ways educators can better partner with families to help students make a successful transition to middle school. 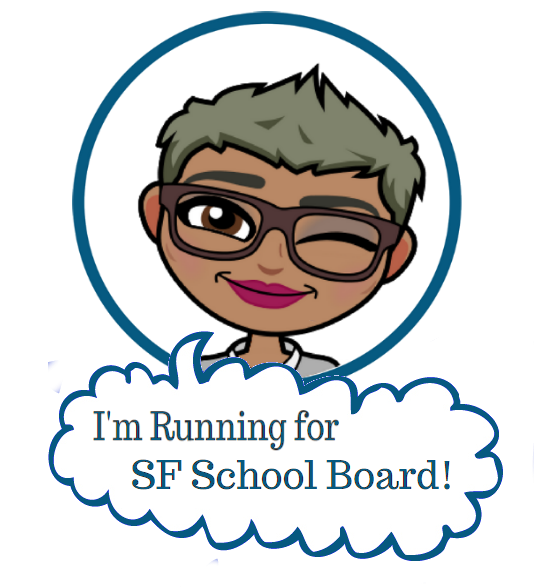 In the process, I’m hoping to create resources that can be shared with families across the district, especially those from marginalized communities who don’t often have access to historical knowledge about how our education system works. If you have questions or ideas about how to support middle school family engagement please write your ideas and questions in the comments below. 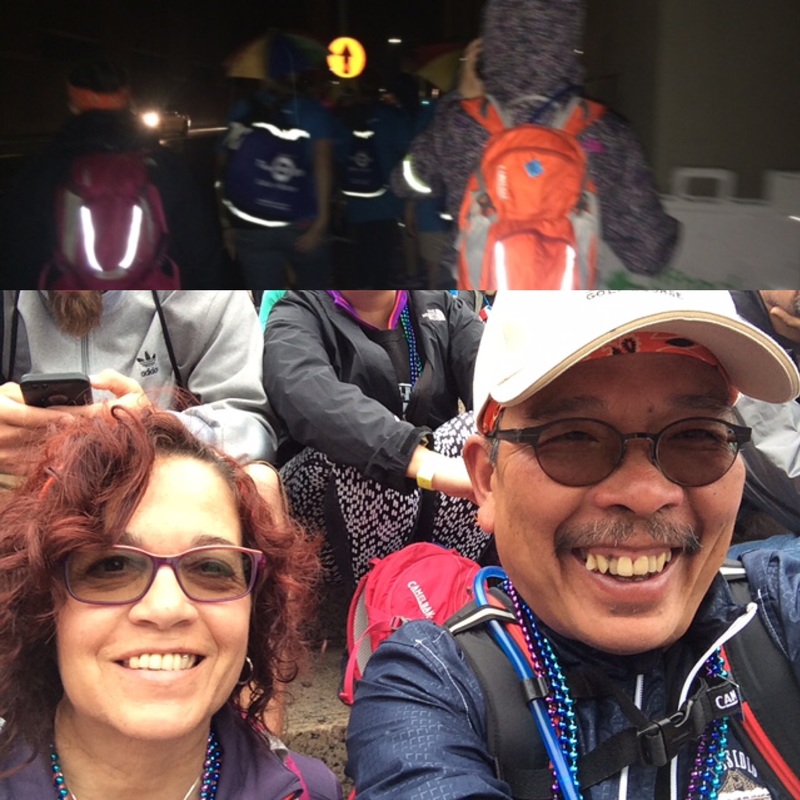 Recently I’ve been sharing my experiences as a new middle school mom. What I’m learning is there is a LOT of information schools could share with families to better help them partner and support their kids. *Questions that apply to middle and high school ONLY are listed with an asterisk (*). *Who is my child’s counselor? What is the best way to contact them? about extended absences due to illness or other family issues? *How do students get scheduled into electives? (Music, art, coding, dance, etc.?) 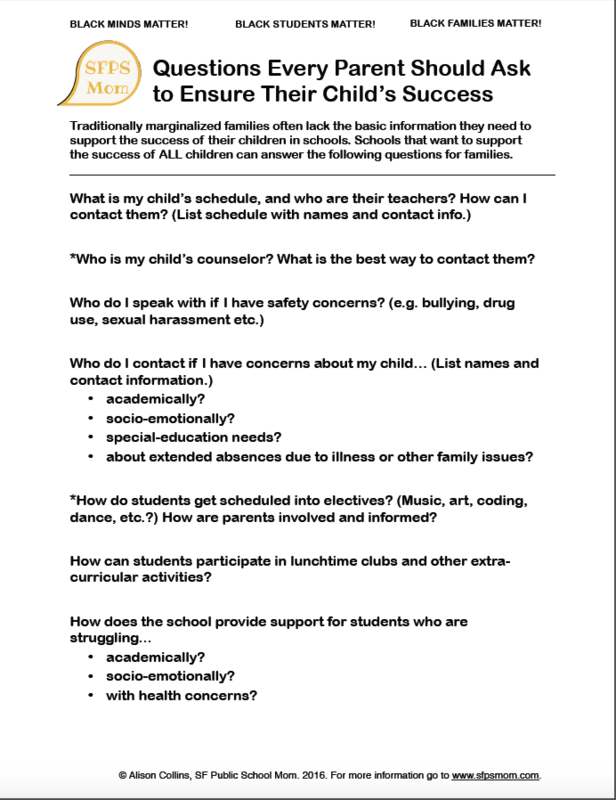 How are parents involved and informed? How can students participate in lunchtime clubs and other extra-curricular activities? If students are placed in academic support, does this prevent them from participation in enrichment such a STEM, music, etc. If so, what is the reason given? to have instruments for music programs? *locks for lockers and uniforms? 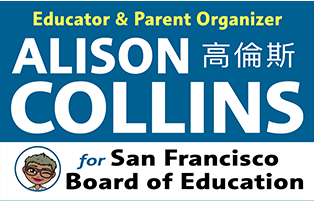 Who do I talk to if you have concerns about instructional materials, qualified teachers, or safe facilities? who lack access to technology? who speak a language other than English? Are their any others? List your questions and other resources in the comments below! 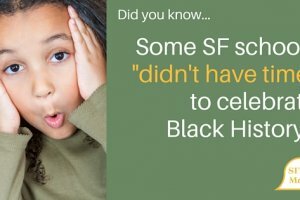 In today's day and age, why is it OK for SF schools to do their own thing (or NOT) when it comes to Black History Month? Did you know that every year suicide claims more lives than war, murder, and natural disasters combined, and yet suicide prevention doesn't get anywhere near the funding given to other leading causes of death? Here's how you can help. How are students placed in academic courses both general and advanced/honors? 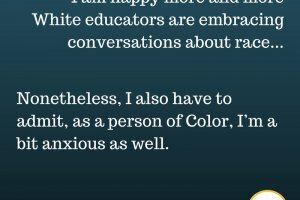 Sometimes, this is done by teacher rec which is a dangerous place to be since they tend to marginalize students of color. I would ask what assessments and benchmarks they use because many times those students of color are left out and when you see the demographics of the class it’s easy to see that the white students (and their parents who pushed them) are the base.